Oak tree with 3 LOD levels. Blender 2.60 source file. 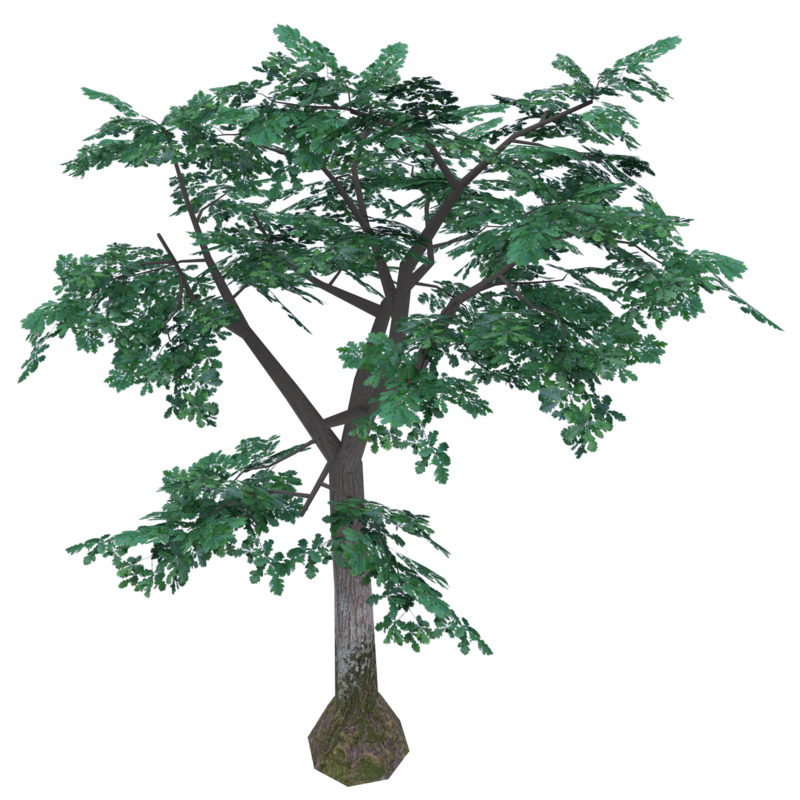 LOD1 and LOD2 use separate texture (prerendered branches and foliage). The model is from Khayyam/Shinya game project. No, no mon ami! I have not been dead! Ehmm if I start my game with it it says: Missing asset "...\Tree\Textures\Quercus_A_1024.png"
It has texture images packed into .blend file. If you are converting it to other format you should also export/save these from Blender.